Durango’s Christopher Blevins soared to a men’s under-23 cyclocross national championship Sunday in Reno, Nevada. Add another national championship to the ever-growing résumé of Durango’s Christopher Blevins. 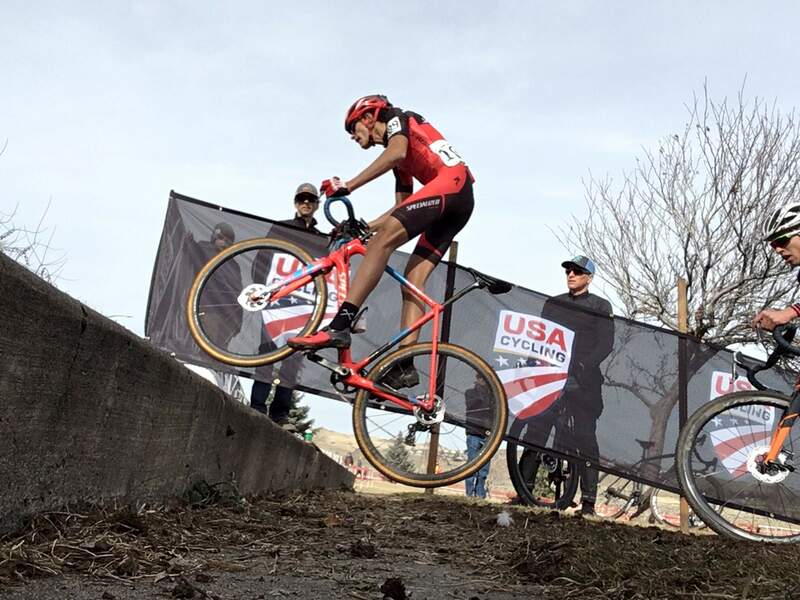 The USA Cycling national team member and 2016 Durango High School graduate added a cyclocross gold to go with the cross-country mountain bike men’s under-23 national championship he acquired last summer. 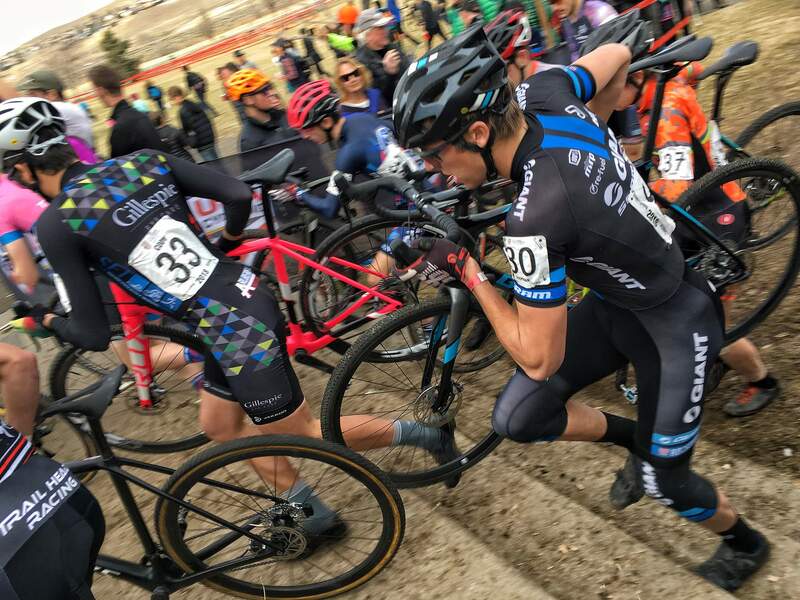 Blevins, 19, found himself in a three-man race with four laps to go in the USA Cycling Cyclocross National Championships men’s U23 race Sunday in Reno, Nevada. He won it in 52 minutes, 38 seconds. Blevins led out the race early but had a tire slide out from under him taking a wide angle in a tight turn before a section of bunny hops. Blevins had to run his bike over the obstacles, and he went to third place before putting in a big effort to get back on the wheel of the leaders. Race favorite Gage Hecht, who won three big U23 cyclocross races earlier in the season, including the Pan-American Championships in November, got a flat tire with four laps to go, and Boulder’s Eric Brunner and Grant Ellwood joined Blevins in a three-man group that put a big gap on Hecht and Spencer Petrov. Blevins regained his lead but gave it up with two laps to go when Brunner moved past him. But Blevins made a huge effort to get to first at the start of the final lap. He built a big gap that Brunner couldn’t close down. A strong run up the Shimano run-up hill made sure nobody would catch him on the final technical descents leading to the finish line. Brunner finished second in 52:44, and Ellwood finished third in 53:00. Hecht went on to finish fourth. Fort Lewis College’s Henry Nadell, who won the collegiate cyclocross title to open the week’s competition, was 14th in the men’s U23 race in 56:31. Blevins proved he will be a force to reckon with now in three disciplines, as he is already considered one of the top U23 road and mountain cyclists in the country. Blevins will consider competing at cyclocross’ world championships in February in Belgium depending on his college class schedule at Cal Poly and his training schedule for mountain bike and road bike season. Blevins’ big win highlighted a strong week of action in Reno aside from the Fort Lewis College team’s second-place finish in the collegiate competition. Sarah Sturm turned in big performances all week. She finished 12th in the women’s elite/pro race in 55:38. Colorado Springs’ Katie Compton won in 49:51 to edge Ellen Noble by seven seconds. Former FLC racer Teal Stetson-Lee was 21st in the women’s elite race in 56:52. Durango’s Sarah Sturm led the women’s singlespeed race Saturday before finishing second. 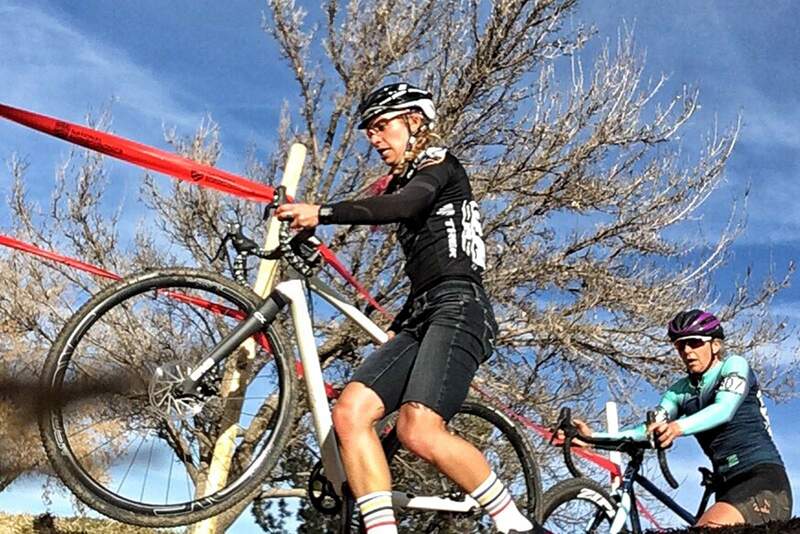 She then went on to finish 12th in Sunday’s elite/professional race at the USA Cycling Cyclocross National Championships in Reno, Nev.
Sturm’s big result came in the women’s single-speed race held Saturday. She finished second in 42:41 behind Boulder’s Meredith Miller, who won in 42:27. FLC’s Ana Schehrer of Salida was 18th in the women’s singlespeed race in 48:17. In Sunday’s women’s U23 race, Emma White of New York won in 45:04. Durango’s Katja Freeburn, who rides for Fort Lewis, was 11th overall in 49:24. Durango’s Ellen Campbell, another FLC rider, was 13th in 49:32. Stephen Hyde of Massachusetts won the men’s elite/pro race Sunday. He went to battle with longtime friend and mentor Jeremy Powers for nearly an hour, but Hyde won his second consecutive national title with a winning time of 59:09. Powers was second, 13 seconds behind Hyde. Durango’s Troy Wells finished 14th in 1:02:20, and Durango’s Stephan Davoust was 15th in 1:02:31. Davoust, who rides for FLC, took silver in the men’s collegiate race behind Nadell. Ian McPherson was 21st in the men’s elite race in 1:04:30. Durango’s Lucas Rowton also competed but finished down three laps. Durango’s Stephan Davoust had a huge week in Reno, Nevada. He finished second in the collegiate men’s championship, was from second in the men’s singlespeed race and then finished 15th in the men’s elite/professional race. Davoust also claimed second place in the men’s singlespeed race Saturday. He moved up from 60th at the start line to second and finished 10 seconds behind winner Jake Wells of Avon. Durango’s Kolby Preble was 16th in 39:19, Dylan Stucki of Durango was 19th in 39:33, Ian Burnett placed 54th in 42:38, Chad Cheeney placed 60th in 43:04, and Rowton came in 124th. Burnett also finished 12th in the men’s masters 30-34 race Thursday. Also Sunday, Durango’s Cobe Freeburn placed 16th in the junior men’s age 17-18 race with a time of 44:05. Benjamin Gomez-Villafañe won in 40:01. Cobe Freeburn also added a 12th-place finish in a junior men’s 11-12 race Thursday. Ivan Sippy was 21st, Riley Amos placed 38th and Simon Donnaway was 53rd to represent Durango in the field along with Freeburn. The young riders also competed Saturday in the men’s junior 13-14 race. Luke Heinrich of Salt Lake City won in 22:23. Riley Jaber of Durango was 25th in 26:03. In the men’s junior 15-16 race won in 29:44 by New York’s Magnus Sheffield on Saturday, Amos placed 20th in 32:17, Sippy was 26th in 33:45, Donnaway was 37th in 33:47, and Ian Kutzlep placed 53rd in 35:35. Bayfield’s Caleb Thompson earned a second-place finish in the men’s masters 35-39 race. He crossed in 47:39, only seven seconds off the winning time of Kevin Day from Farmington, Utah. FLC cycling director Dave Hagen also joined the fun in the men’s masters 50-54 race. He finished 53rd.